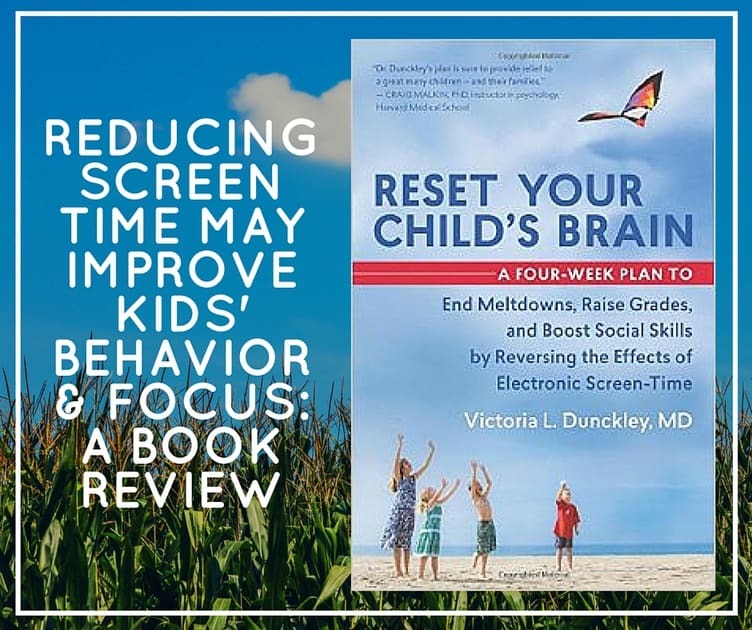 According to a new book, Reset Your Child’s Brain – A Four-Week Plan To End Meltdowns, Raise Grades, and Boost Social Skills by Reversing The Effects of Electronic Screen Time by child psychiatrist, Victoria Dunckley, M.D., excessive screen time can lead to impaired brain function and interfere with a child’s development. Dr. Dunckley reviews the research and presents her own intervention, starting with a screen time fast which she found to show great improvement in the symptoms in a group of 500 children and adolescents. Through her work with children and teens in various settings she has found that screen time acts as a psychostimulant similar to caffeine, amphetamines, or cocaine. The excessive screen time overstimulates the nervous system which can result in sleep disturbance, mood swings, concentration problems, and restricted interests outside of the use of electronic devices. I have definitely observed that a good number of patients seen on the mental health unit I work on spend most of their waking hours on their smart phone, tablet or computer. They start to socially isolate, and have total meltdowns if their parent attempt to curb the use of electronics. They also begin doing poorly in school, experience difficulty sleeping and develop symptoms associated with anxiety and/or depression. In this fascinating book, Dr. Dunckley delves into the science behind her findings and explains to parents what is going on in the brains of kids who excessively use these devices. She then presents a four-step plan to address the overuse with all of the details necessary to carry it out at home. She shares the stories of parents who have tried her method and have seen the results. If you find yourself with a moody child, who spends most of his or her time on the computer, you might want to check this out. If your child has serious symptoms, you should first seek professional advice before implementing this program.